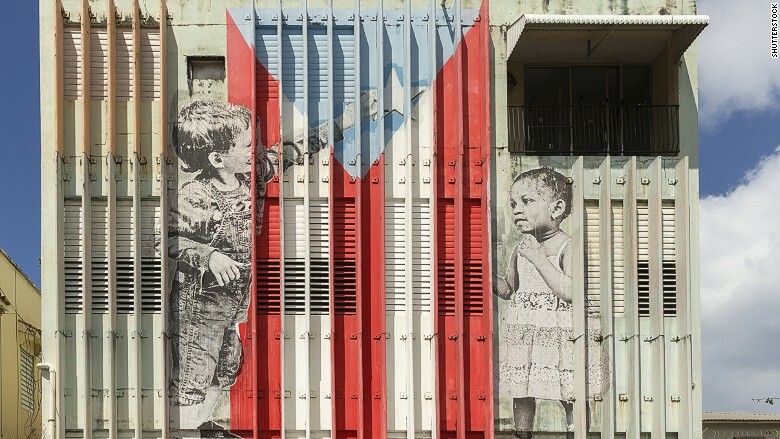 Puerto Rico still lacks enough money to pay back its debts. Right now, there is a $28 billion gap between what Puerto Rico must pay bondholders over the next five years and what it can actually pay, according to a new government report. The Puerto Rican government just released its plan to plug the gap. Even after all the proposed spending cuts and tax increases, the island would still be unable to pay back $14 billion, raising concerns that the island could default again. The commonwealth defaulted on a small portion of its debt in August for the first time in its history. The Puerto Rican government proposes a wide range of spending cuts and tax hikes to help pay off its debt over the next five years. First, the island's sales tax sharply increased from 7% to 11.5% in July. On top of that, the government plans to fully implement a value-added tax. That sales tax is higher than any other in the United States. (Tennessee is the next highest at 9.45%, according to the Tax Foundation, a research group). Puerto Rico also aims to consolidate its schools, lower health care spending and reduce the number of government employees. It lists several initiatives to spark economic growth on the island too. "Working out of this, it's going to take a long time," says Cate Long, founder of Puerto Rico Clearinghouse, a research firm focused on the island's debt. "Much of the government has needed to be downsized for years." Keep in mind: Some proposals must be passed by the U.S. Congress while others need the approval of Puerto Rico's legislature. Approval isn't guaranteed, experts say. "While the Puerto Rico plan is comprehensive, Moody's believes the commonwealth's ability to implement many of the recommended policies will pose political challenges," Ted Hampton, vice president at Moody's Investors Service, said in a statement. In total, Puerto Rico owes about $72 billion to its creditors. The commonwealth defaulted on a $58 million debt payment due in August. For years, Puerto Rico's economy has been in a "death spiral," Puerto Rico's governor, Alejandro Garcia Padilla said in June. The island's population is shrinking, the economy can't grow and its debts have continued to pile up. Coincidentally, Puerto Ricans are also suffering through a drought and water shortage. Puerto Rico also doesn't have the same bankruptcy rights that U.S. states have. While states like Michigan can allow Detroit to declare bankruptcy, Puerto Rico can't allow its towns and government organizations to declare bankruptcy. It's in a tough spot, expert say. The report does not clarify how much of its debt will need to be restructured and reduced, sometimes called a "hair cut." It only addresses spending cuts and growth measures. But on Wednesday Padilla stressed that Puerto Rico's creditors will need to compromise. "It is time for the creditors to come to the table and share the burden of the sacrifices," says Padilla, speaking in Puerto Rico. Puerto Rico has several types of debt, and depending on the legal protection of the debt, the hair cuts will vary, experts say. "They're going to have to work very closely with creditors," says Long. The report "is a good effort."